Updated 9/27/15: As of today, Inbox now offers the abilty to drag and drop images into a brand new email as well as when replying via a popout reply. Drag and drop will not work in a quick reply. 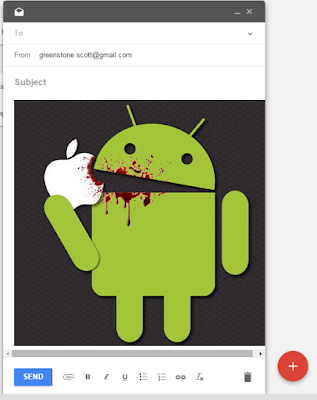 In addition, Inbox now allows for copy and paste of images without the need to pop out the response. Starting today, the Inbox team began rolling out the ability to copy images from a web page and paste them into the body of a message. Just right click on the image and choose copy image, or highlight text and images and copy, or even by dragging the picture into the compose window. It should be noted, this only works currently on the web version. Also, you must popout the reply for you to be able to paste into a reply message. It wont currently work using the quick reply in the inbox. What kind of devices and what OS are you using? Does it only happen on mobile or can you replicate this on desktop? I noticed the problem on my Android devices (samsung note 4 , samsung galaxy 10.1 tablet and Asus memopad tablet). I attempted to forward a html message, but the email wouldn't send (clicked on send several times with no luck). I was suprised to find that same thing happened when forwarding a text email. I hope you can find a solution.